A family-owned company, Gardiners NMC has a pedigree stretching back more than 30 years. Today, the company is a well-known name in coaching in north east England and fast becoming known in Surrey and south west London. The story begins in the early 1980s when Glenn Smith started working in the coach industry, operating coaches for various travel companies on tours, excursions and private hires in the UK and continental Europe. His son, Adrian, started his career working in well-known high street stores. 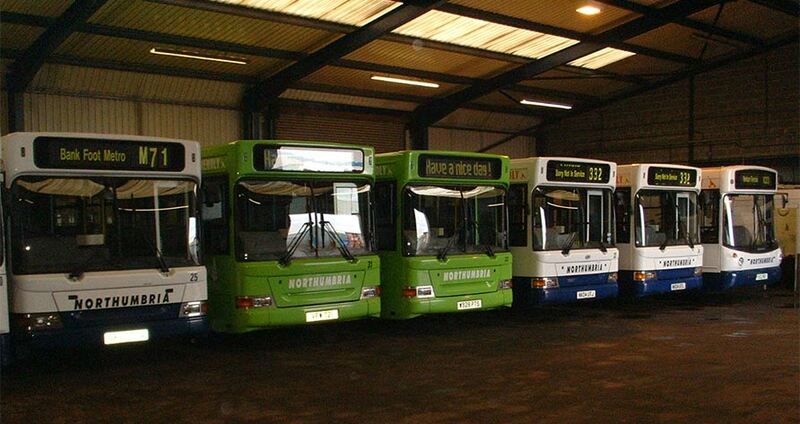 In the mid-1990s, they acquired Northumbria Mini Coaches (NMC), turning it into one of the largest privately-owned coach and bus companies in north east England. In April 2008, they sold the bus side of the business to the national bus operator Go Ahead. The remaining business became NMC Tours Limited with offices in Newbiggin by the Sea near Ashington. The shop window initially featured a single day trip and one coach holiday a month! At the same time that all this was going on, Glenn and Adrian were in talks with Gardiners Travel of Spennymoor, a highly reputable County Durham company with its own 75-year pedigree. It wasn’t long before Gardiners Travel and its coaching operation was acquired. But what to call the new company and maintain the reputation and goodwill built up over all those years. There really was only one answer, and Gardiners NMC was born. The Gardiners’ tour programme was revitalised to offer a new and exciting Gardiners NMC range of tours, holidays and day trips. The programme featured a new range of ‘easy-to-access’ pick-up points throughout the north east and home collection. All the hotels were a minimum of 3-star with all excursions included in the price. A new website was introduced with secure online booking facilities. In 2010, Gardiners NMC joined together with a number of leading high street travel agents to expand the number of booking locations across the north east. The new programme, combined with a commitment to quality and customer service saw Gardiners NMC expand. In 2011, following three successful years in Newbiggin by the Sea, the company moved to new offices in Ashington town centre. But even that wasn’t enough. In 2013, the company moved to a new garage and offices in Coopies Lane Industrial Estate, Morpeth bringing the coach fleet, garage and office staff all under the one roof. 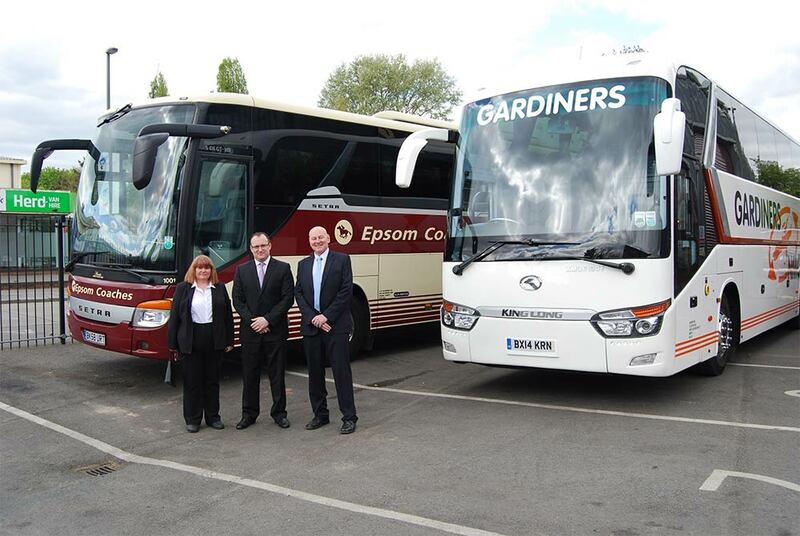 In 2017, Adrian embarked on their biggest expansion yet, with the acquisition of the tours and day excursions programme of Surrey-based Epsom Coaches, one of the UK’s longest established and most respected coach tour operators. A new Gardiners NMC (South) office was opened in Epsom, managed by Melanie Cox, formerly Epsom Coaches’ tours manager. 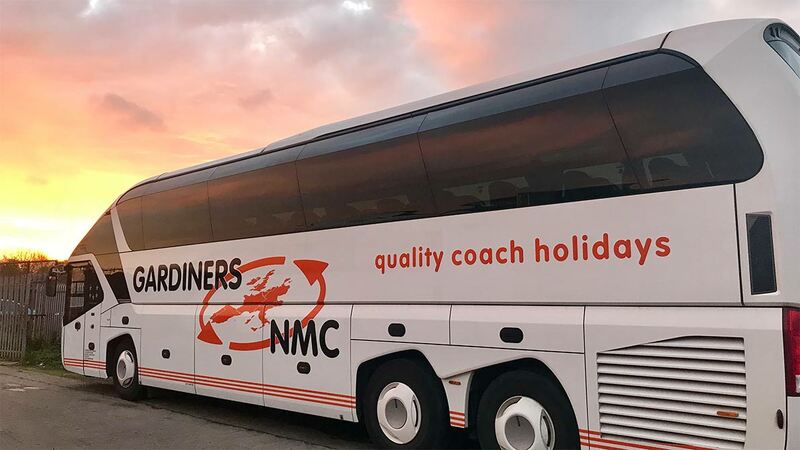 Also joining the Gardiners NMC team from Epsom Coaches was their product manager, Alistair Scott, who is now product and development manager for the entire Gardiners NMC tour and day trip programme. Although Gardiners NMC is still a relatively young company, Adrian and the team are proud of what has, and is being achieved. The company has been a finalist in a number of industry awards including the National Coach Tourism Awards and the UK Coach Awards, in both cases being one of only a handful of coach operators in the UK to make the shortlist. Gardiners NMC is also a member of the Confederation of Passenger Transport UK and the Coach Tourism Association. "As a local family-run company, with a first-class team of staff, we all appreciate the support shown and given by our customers over the years. The company has come a long way since 2008, but our commitment to quality and customer service remains unchanged. We look forward to offering many more memorable holiday and day trip experiences in the months and years to come."